Scissortail Farms grows leafy green vegetables year-round with little water and without soil. The operation west of Tulsa employs aeroponic farming to grow its produce. Aeroponic uses pumps and gravity to feed the roots with nutrient-rich water. Thousands of plants growing out of 11-foot-tall aeroponic tubes are watered every five minutes with conditioned water enable Scissortail Farms to consistently provide fresh produce within 24 hours of harvest. The harvest is starting at a new farm in Tulsa – a hydroponic vegetable farm that can grow plants all year long, no matter the weather. The vegetables are grown indoors and upright to save space and eliminate most problems with insects and plant diseases. It’s bringing fresher vegetables to market. The greenhouse at Scissortail Farms is packed with produce, and there’s not even a shovel full of dirt. Whether it’s summer’s blazing heat, fall’s seemingly early disappearance or the arrival of winter’s whipping winds, one local hydroponic farm isn’t fazed by weather’s constantly changing face. Scissortail Farms in west Tulsa takes the claim as Oklahoma’s largest producer of green, leafy vegetables through the use of aeroponic towers and is one of the largest hydroponic producers across the country. 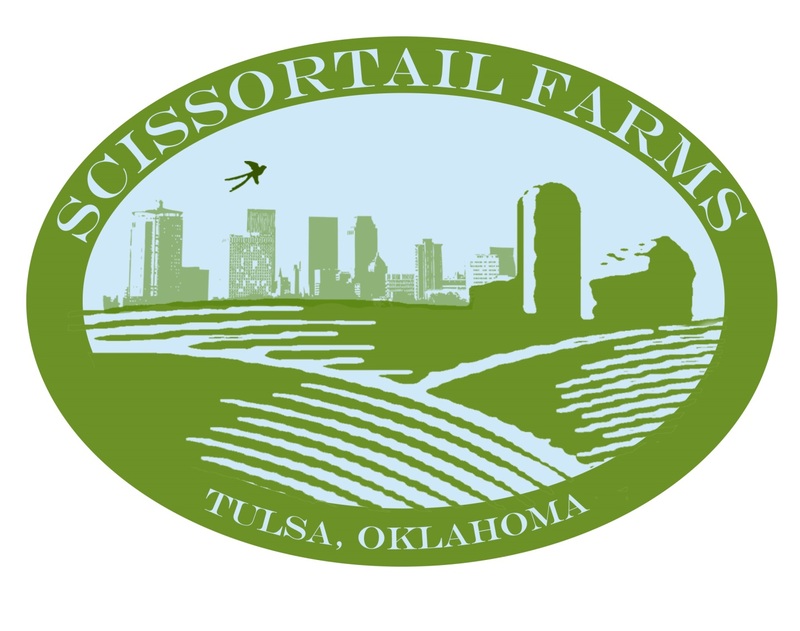 Scissortail Farms is going to be the newest name in fresh, local, and living produce in the Tulsa, Okla., region! After more than a year of planning, the company is excited to announce that it is breaking ground on its state-of-the-art, one-acre vertical food farm. Scissortail’s ground-breaking urban farm, which utilizes Future Growing®’s patented vertical aeroponic Tower Garden® technology, will use up to 95% less water on 90% less land. Importantly, no herbicides and harmful chemicals will be applied to the food crops.